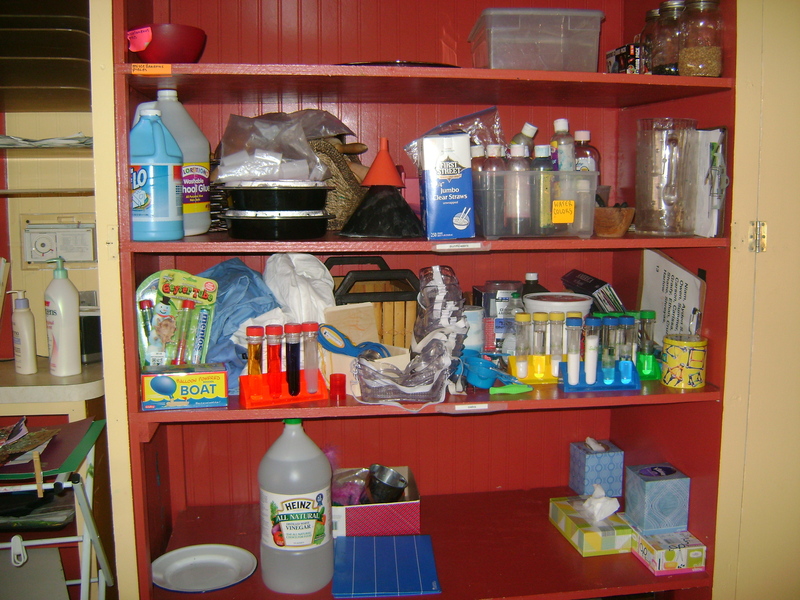 These skills are essential when engaging in hands-on science experiments and explorations. When we start children young on becoming scientists we give them the gift of developing these skills at an early stage through meaningful and exciting projects. 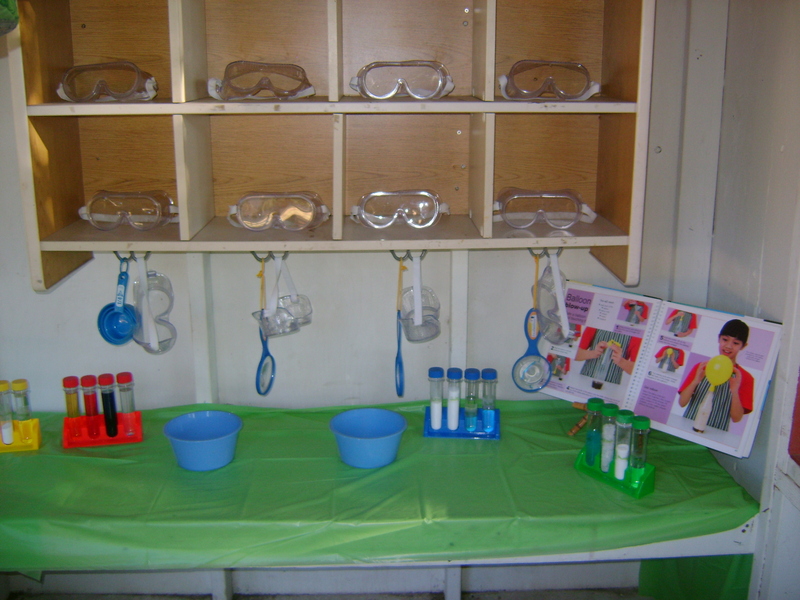 Allowing children to explore science materials openly gives them the power to discover learning on their own. 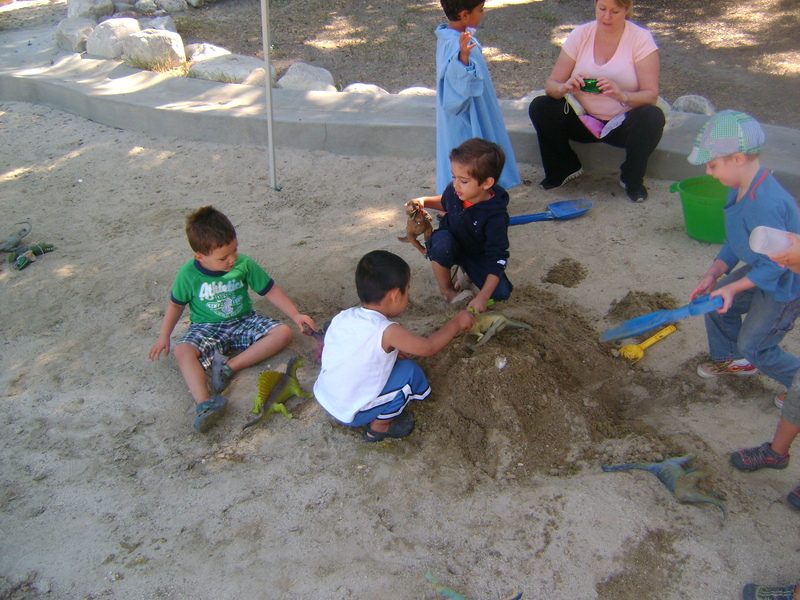 Independent and hands-on discovery allows for children to internalize learning and retain information in a deeper way. The Chinese proverb states it well in saying: “tell me I’ll forget, show me I may remember, involve me and I’ll understand”. From an educational platform we know that children learn best through concrete experiences as their brains have not fully developed the capacity for complex abstract concepts. As well as, Gardner’s exploration of Multiple Intelligences supports learning through multiple modes of learning. Science allows children to explore key developmental and academic concepts through multiple modes of learning. Many experiments and explorations include visual concepts, kinesthetic activity, naturalist experiences, spatial concepts, logical/matematical concepts, linguistic experiences, and interpersonal opportunities. Learning through science becomes a rich experience because it is exciting and filled with real props and results. This year many of my preschoolers know that vinegar and baking soda create a chemical reaction of over flowing fizz when combined. They discovered this on their own by being allowed several times throughout the year to combine the substances. 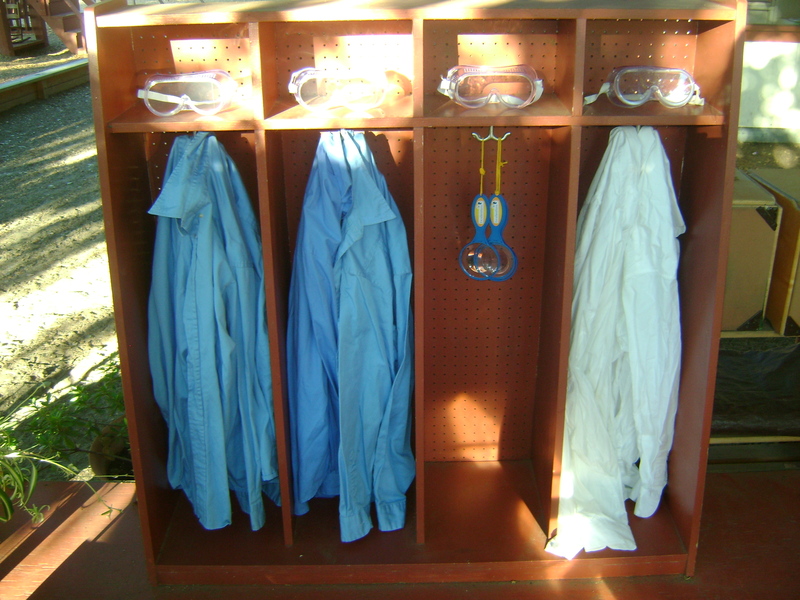 Several times “labs” were set up with containers or test tubes of materials for mixing. Many substances were added to the palate as it was important for the children to see each substance produced a different result and that only the baking soda and vinegar combination created the “fizz” or “bubbles”. The children quickly discovered water did not work, soap made different bubbles, paint changed the color, cornstarch made it thick, and other varying results. They moved their experiments to other locations: mud-pit craters and sand area volcanoes. These experiments encourage the exploration of properties, cause and effect relationships, vocabulary development (yes, we use real vocabulary with the children: chemical reaction, absorb, ingredients, test tubes, lab, etc. ), problem solving, and turn taking (oh! Is that a tough one when the results are so exciting! You want to be next now!). It is important to let the children decide what the steps should be. Multiple attempts at a procedure allows the children to truly learn what makes an experiment work, what materials are absolutely necessary, and have a bursting sense of pride when their attempts are successful. Exploring new areas such as learning stations set up with insects, gems/rocks, rubber-bands, and magnets gives children the opportunity to make detailed observations, attentively explore materials, actively discover relationships of physics and movement, and develop predictions about the world and living things. 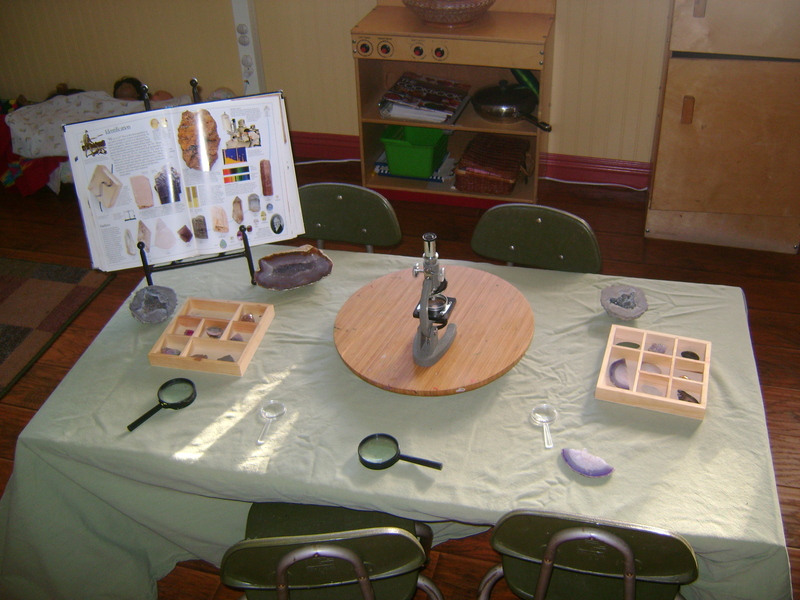 Inquiry based explorations ensure children will desire involvement – most science explorations should follow this model. It is often based on the interest of the children and the here and now of the current environment or happenings of the classroom. Inquiry based learning allows children to pose the questions that need answers. As a teacher you are responsible for facilitating learning, fetching materials, and encouraging conversation or further exploration in the current environment or a staged activity. Some of our inquiry based explorations have been inspired by sunflowers, bears, worms, the garden. It is important to follow the child’s lead and provide materials for them to explore in order to find answers to their wonderings. I recommend the texts “Worms, Shadows, and Whirlpools” by Grollman and Worth and “Discovering Nature with Young Children” by Chalufour and Worth for more information. Throughout the year we spent a variety of moments focused on science and a majority of our time on nature experiences. However, one fantastic week in summer we dove into an array of science experiments and even geared up as scientists for the week. I recommend selecting materials and experiments that the children already express an interest for and not simply model your exploration after a list. But, just as a stepping stone I will provide a list of materials and activities we shared with the children. As early childhood educators we must commit to incorporating science in daily activity. Science in the early years is vital for helping children become young explorers and independent seekers of new information. Research shows that young children with rich early science experiences have a solid foundation for future learning and development in the academic arena (see recommended links for supportive evidence).